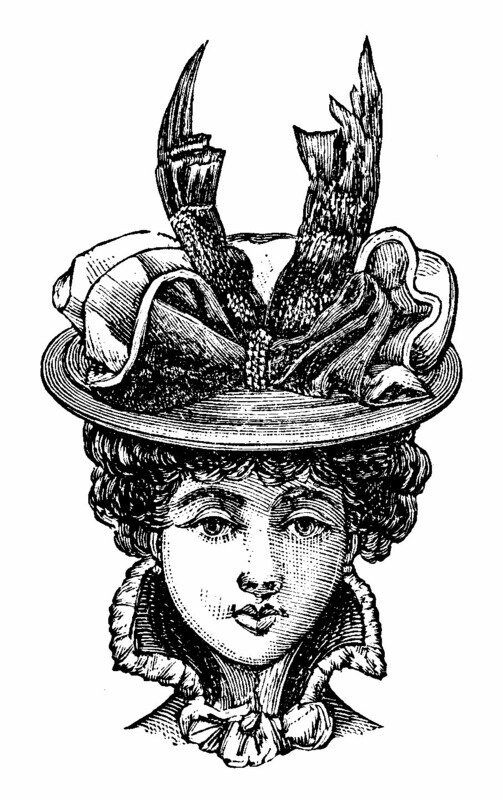 At Mrs. Milligan’s Millinery & Haberdashery we would probably be happy to just trim hats. We have trimmed well over 100, in all sizes, thus far! Admittedly, trimming is our favourite part of everything we do. Except perhaps for seeing how much you love your new hat, and how it makes you feel better and be happier. We, personally, like the outrageous, extravagant styles of the 1910’s, where too much was just enough. Mr. Milligan might think otherwise. We are not the only head in the world, so we offer a range of trim levels and styles. Our favourite is to transform your wishes into a hat trimmed to perfectly suit you and your character. Please, talk to us about your dream hat. Sometimes we build a whole hat around a single vintage treasure, such s this belt or shoe buckle from the erly 20th century. This black gem was half of an 1890’s belt buckle belonging to the grandmother of the hat’s owner. 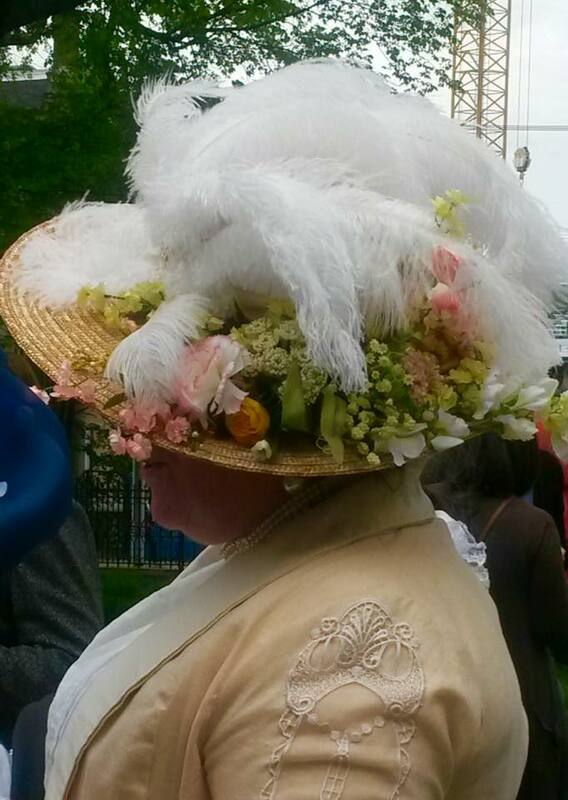 A 1909 hat was designed around it.